I have what I imagine is a pretty common relationship with the newsletters that flood my inbox each week. I skim maybe one or two each week, add a couple others to a reading list I never get to and archive the rest. To make matters worse, I continue to subscribe to new newsletters even as I have yet to make a dent in my backlog. And it’s not for a lack of trying: I honestly wish I was better at reading all the newsletters that hit my inbox and yet week after week I’m unable to break the cycle. 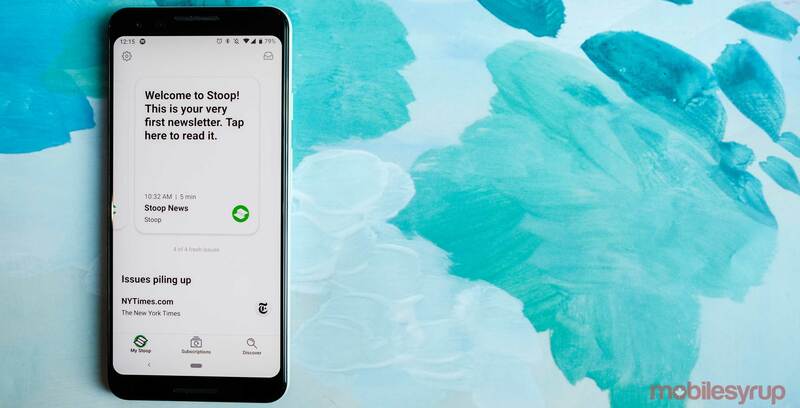 Enter Stoop, a new app that promises to do for newsletters what apps like Pocket Casts and Overcast have done for podcasts. In short, Stoops attempts to help users make the most of all the excellent newsletters that are out there on the internet by making it as easy as possible to subscribe, read and manage one’s email subscriptions. In that goal, Stoop is incredibly successful. It all starts with the onboarding process. Stoop’s most clever feature is that it creates an entirely new email for you to use when subscribing to newsletters. In this way, not only does the app help to declutter your email inbox, it helps make subscribing to new newsletters a breeze. If a newsletter isn’t included in Stoop’s extensive archive, all you need to do is use its built-in browser to find it online. The app even includes a nifty autofill feature to help expedite the process. With newsletters that are already featured within the app, Stoop features an ‘Instant Subscribe’ feature that makes subscribing to a new newsletter even easier. Stoop also includes an excellent curated section to help you discover new newsletters. Another part of the process the app simplifies is unsubscribing. When you want to unsubscribe from a newsletter, simply tap the ‘Subscriptions’ tab and swipe an individual newsletter to the left to reveal an unsubscribe icon. That’s it: there’s no hunting for the small unsubscribe link hidden towards the bottom of an email, and no exit survey. Then there’s the interface for reading newsletters. It makes between moving between different ones, as well as archiving and sharing, a lot simpler than it is on Gmail and other email clients. If there’s one feature missing from Stoop, it’s a dark mode to help with reading at night. For the most part, however, Stoop is the complete experience. Stoop is free to download on both Android and iOS.